I am so into denim at the moment. 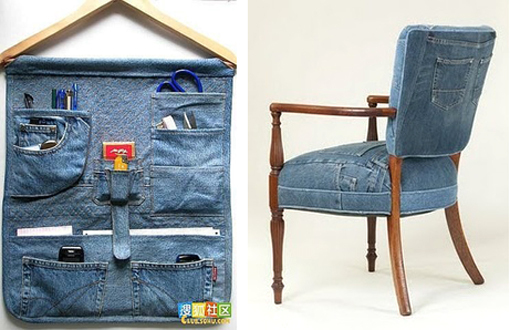 I want to make ALL THE THINGS in denim. I have a board on pinterest entitled Denim, Delft and Indigo Dying which is where I am putting all my ideas for when my show is over. 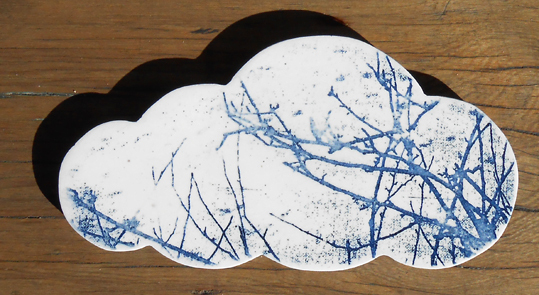 I am so crazy about denim blue I have made re-made almost every object I sell, in "denim". 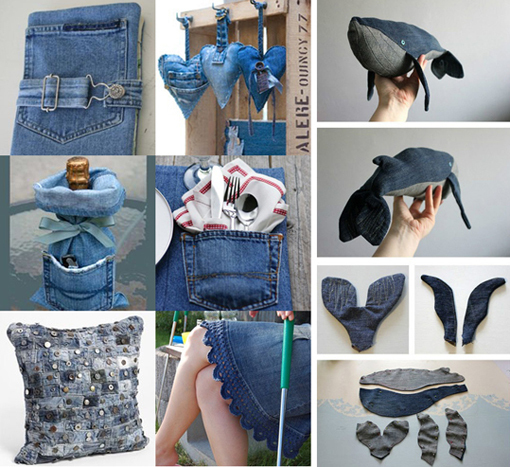 Here is my denim cloud and some of the projects I want to try my hand at. 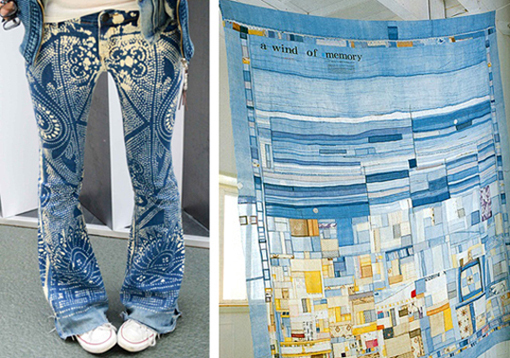 How cool are those jeans and OMG that quilt? I definitely want to try my hand at both of these projects. For links to the original sites that posted these ideas please see my pinterest board.